An arbiter is trying to figure out what happened on the above adjorned game. He only knew that black made 15 moves and there can be more than one line of moves for this. Can you replay at least one game history for the arbiter? Firstly, the white knight must be taking a piece every turn apart from the first one. That means it has to take a piece on it's home square. To do that, you have to set up a path so that the black pieces can move into the last spot. Especially, you need a knight to jump into the white knight's home square (without checking the king). No checks can occur in general (one exception is possible, if the black knight checks and then gets captured). Here's a link to the moves: Clear the board! 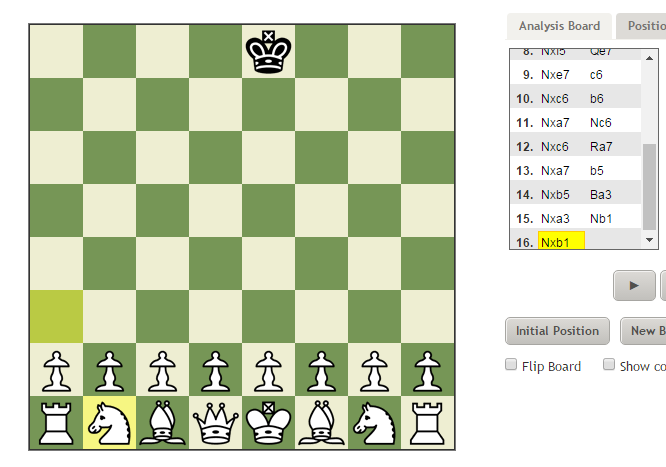 A White Knight must move such that every turn other than the first results in a capture, and no move results in a check. 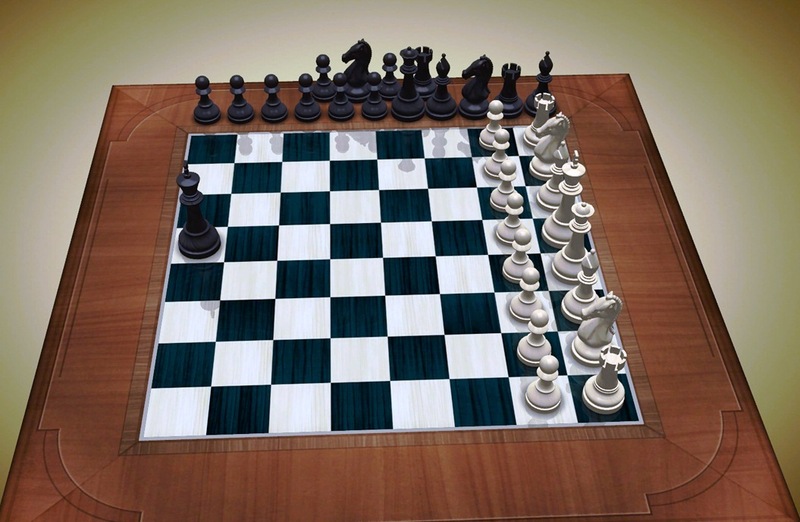 This requires a Black Knight on the White Knight's starting square, and Black pieces making a chain back from black's home ranks. I used a Pawn and Bishop. This one has the checked king. It is about the linking of knight captures. As the question as-is has already been answered correctly, with examples of how check on either side can be achieved. I therefore decided to present my thoughts on why it appears unlikely that check on both sides can be achieved. Which basically means you have 1 move left to facilitate the continuous capturing of the Knight AND the check. I therefore doubt whether it is possible to get this position in 16 moves with check on both sides. Here is the closest I have come so far, running just a half move short, perhaps it will inspire someone. 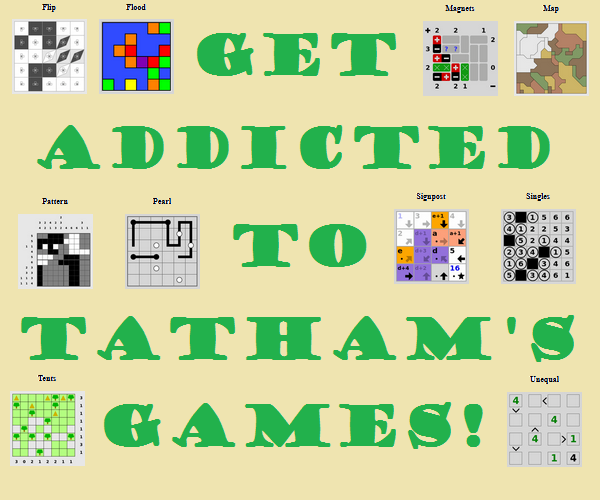 Are there any puzzle/solitaire games based on chess?